Lori Tritel was overjoyed to be reunited with her precious pooch Josie. A pet owner who was devastated when her dog went missing for nearly two months after escaping from a Culver City boarding facility got the happy ending she had badly wanted: a reunion with her precious pooch. Lori Tritel was reunited with her dog “Josie,” a Border Collie mix, about two weeks ago after an exhaustive search that ended up costing her thousands of dollars, she told KTLA on Saturday. Josie went missing on April 18 after she jumped over a 12-foot-high fence while in the care of Doggie Central. Tritel, who was at the facility at the time in another room and had watched in horror as her dog jumped the fence, was devastated when Josie escaped. Surfing superstar Rochelle Ballard is used to twists and turns when riding tubes, but the drama usually isn’t from her dog Kuma. “My dog has been missing for four years. He got stolen off the beach at Sunset and after a year I gave up looking for him. I never received any information. Not a single call. Nothing, no trace of him. After four years all of the sudden I get a phone call,” said Rochelle Ballard, professional surfer and yoga instructor with Surf Into Yoga. Sparky was lost for 10 days and later recovered by some creative and expensive means. 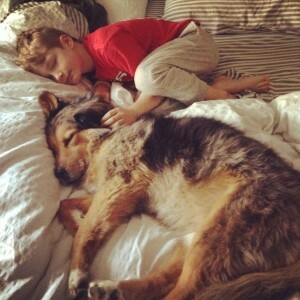 He’s sleeping here with one of his owners, 7-year-old Hank. It was a sad day last month when Sparky the dog ran away during his regular outing near Fort Funston. While frolicking off leash with a group of dog buddies, the 11-year-old Australian shepherd got separated from his walker and quickly disappeared into the underbrush. Sparky was gone in an instant. Bryan Mason’s 7-year-old son, Hank, was in tears. Mason and Holly Reeves, his fiancee and Sparky’s original owner, decided they were going to go all out. So it’s a familiar story: Dog lost, flyers printed up, owners search areas where their pet might be. This family is fighting like a dog to get its lost pooch back. 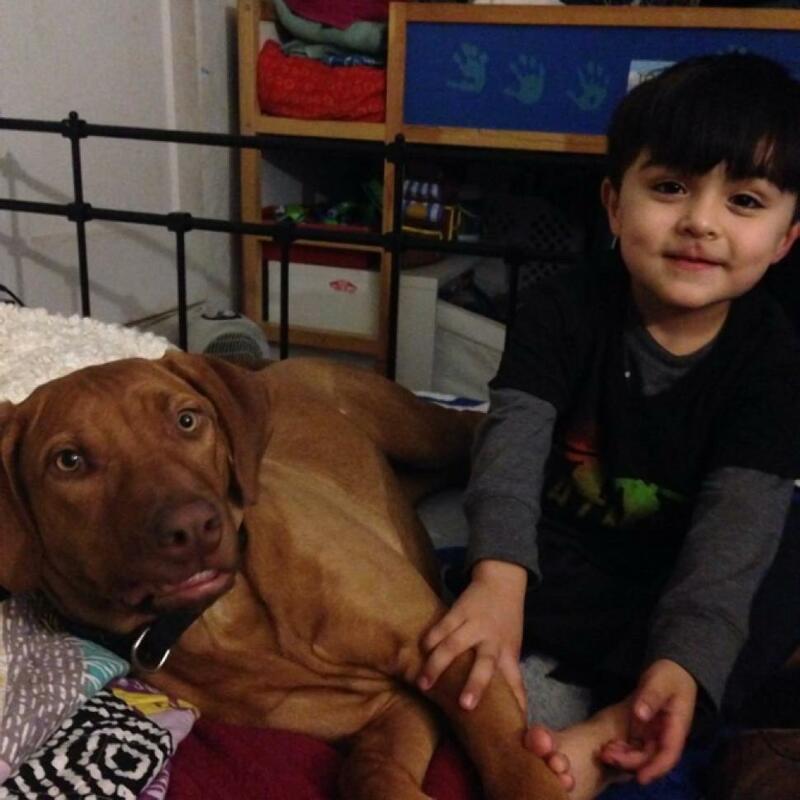 When Rosa Torres’ 8-month-old Rhodesian Ridgeback puppy Raffiki went missing last month, she scoured their Panorama City neighborhood and put impassioned pleas on the Internet. Torres finally located the pooch, but an animal rescue group had found the dog and gave it to another family — and refuses to return the hound to its original owner, according to reports. Molly was found running loose in Prescott Valley three years after she disappeared from Fort Hood, Texas. A soldier will soon be reunited with her dog, which went missing three years ago in Texas and has been found 1,000 miles away in Prescott Valley. 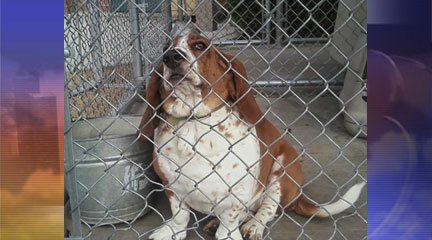 The basset hound was found running loose and was turned over to police officers on July 7, according to Sgt. Brandon Bonney with the Prescott Valley Police Department. An animal control officer found that the dog was equipped with an identification microchip and spoke with the owner, who is a member of the military serving in Fort Hood, Texas. An Indianapolis animal rescue group is raising concerns after a dog was nearly euthanized at the city shelter, despite having a microchip. 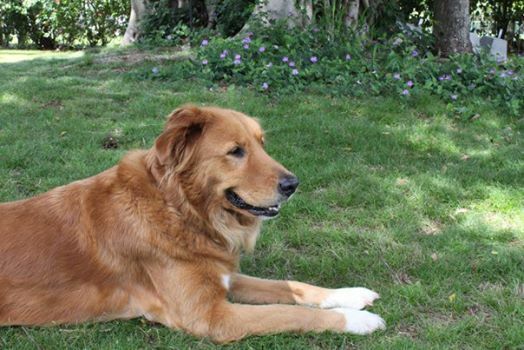 Judie Sloan said her 14-year-old collie mix, Buffy, got loose during a rainstorm. She searched for the dog, but said she was sure he’d be found using his microchip. Days later, volunteers with rescue group reTails Indy were pulling animals out of Indianapolis Animal Care and Control when they found Buffy and identified the dog using his microchip, Call 6 Investigator Kara Kenney reported. “It was slated to die on Monday,” said Maureen Owen who works at Allisonville Animal Hospital and volunteers with the rescue group. IACC Administrator Teri Kendrick admitted that workers made a mistake and failed to scan the dog for a microchip upon arrival, as is protocol. But she stressed that the dog would have been scanned just before being euthanized. One of the amber alert voice mail messages went to the secretary at the school across the street. The secretary called me to find out details, then called her friend, the teacher at the school who found Ella and took her home. The teacher then called me to arrange pickup. Thank you for your help. A neighbor received your phone message and called me. I now have him back!! Great work!! I highly recommend you!! A neighbor heard the phone Amber Alert and called me. He had Arti taken by Animal Control. We were able to get him immediately. I cannot thank your organization enough. I can now sleep at night knowing my pet is safe and secure. Thank you so much. A neighbor heard the phone Amber Alert and called me. He had Arti taken by Animal Control. We were able to get him immediately. I cannot thank your organization enough. I can now sleep at night knowing my pet is safe and secure. Thank you so much. My bird has been found and brought to a Petco which had the flier you sent them. Thanks to you, I have my bird, Duke back! Thank you!! !